River Kaveri originates in the Brahmagiri hills in Kodagu, in a place called Talakaveri (head of Kaveri). It starts its journey from the small pond called as Kundike pond, later the two tributaries known as Kanake and Sujyoti joins it. All these three rivers meets at the point called Bhagamandala. It lies at an altitude of 1350 meters and generally flows from the south to eastward direction. The river is approximately 760 km long. Its flows in the state of Karnataka and Tamil Nadu and merges into Bay of Bengal. The principle tributaries of the river Kaveri include Shimsha river, Hemavati river, Arkavathy river, Honnuhole river, Lakshmana Tirtha river Kabini river, Bhavani river, Lokapavani river and the Amaravati river. Story of Popularity behind River Kaveri :There are many different stories behind the birth of River Kaveri. One of them goes as such- In the ancient times the condition of the south India was becoming worse due to the severe drought in the area. Watching this sage Agastya felt very sad and prayed to the Lord Brahma to help the mankind to come out of this situation. Brahma said if you go to the place where Lord Shiva lives and collect some of the snow water that never ends, than you will be able to start a new river. Rishi Agastya went to the mount Kailash and filled his pot with the snow water and went back. He started searching for the good place to start the river in the hilly Coorg region. He became tired searching for the right place and handed his pot to the small boy who was playing there. That little boy was actually Lord Ganesha who selected the place to start the river and slowly put the pot down and disappeared. After some time Agastya called out – Little boy what do you think. He got no answer. Soon he noticed a crow spilled the pot of snow water on to the ground. After some time Lord Ganesha appeared instead of crow with the smiling face. He said I have done nothing wrong but have helped you in finding the right place to start the river. Sage Agastya smiled and Ganesha disappeared. This is how rishi Agastya brought River Kaveri into the Himalayas. The river Kaveri is the sacred river of India and holds the special religious importance. 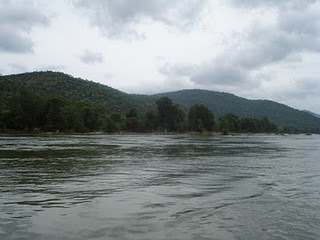 People in India considers river Kaveri as Goddess and worship it. She has been referred o as the Goddess Kaveri Amman. According to the legends she purifies our karmas and washes away all our sufferings. She is the Universal mother and is believed to give us peace. The river Kaveri has been supporting the large amount of wildlife. Millions of people in south India are heavily dependent on its water especially the tribal population. Its water is widely used for the purpose of irrigation and for the power supply. The hydroelectric plant built on the left Sivanasamudra Falls on the Kaveri, was the first hydroelectric plant in Karnataka.